Tokyo Hanabi Taisai ～EDOMODE～ will take place at Odaiba Seaside Park on August 11, 2018. 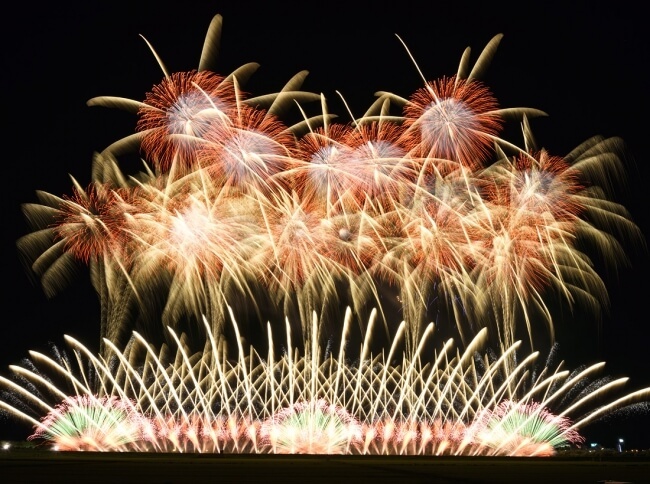 This grand firework festival will bring together some of the world’s most prominent pyrotechnicians who will put on a show like that of a kaomise, an introductory performance of kabuki in the Edo Period where actors would make their first appearance on stage. The festival will fuse together music, food, performance and technology symbolic of Tokyo. It will promote itself to the world as one of the city’s new big summer events. 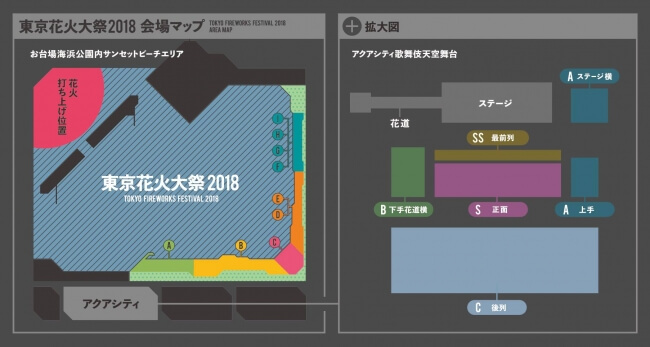 There will be numerous admission-paid areas you can enter at the festival, including Beach, Kabuki, Pleasure Boat, Rooftop, and more, each of which offer a new angle and situtation to enjoy the fireworks. The first areas to open at the beach and kabuki area. The beach area offers table seats that face Tokyo Bay, as well as pair seats where you can even sit in yukata, family seats and more. 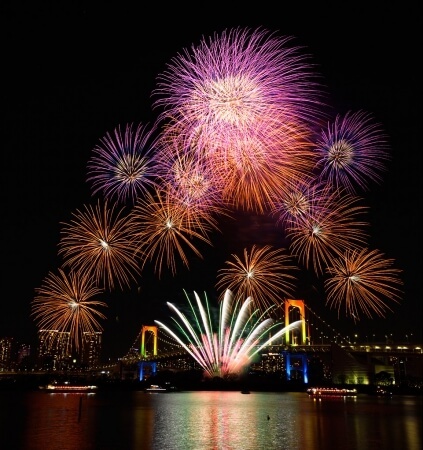 Enjoy the bright fireworks against a background of Tokyo’s night sky. 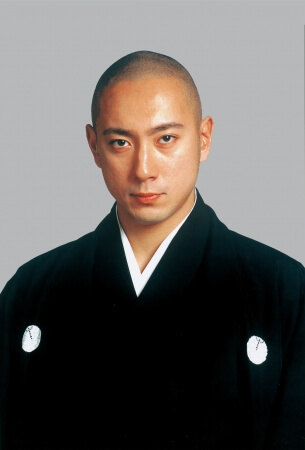 The kabuki area will be graced by the presence of Ichikawa Ebizō, a famous kabuki actor, who will put on a brand new performance themed on fireworks. Enjoy an extravagant collaboration of the lit up sky and a kabuki performance. The kabuki show is limited to people who purchase the Kabuki & Firework Seat tickets (花火と歌舞伎を楽しむ席). Be warned, you can’t see the performance from any of the other seats! Experience this totally new kind of Japanese firework festival in Tokyo in what will be the last summer of the Heisei period. Fireworks inside a mall?! Enjoy the wonders of projection mapping at Ginza San-ai Dream Centre!